Sunny days are often spent in backyard pools or playing games to keep cool. Summer fun can be undone when you notice brown spots in your lawn, and a few culprits may be the cause. 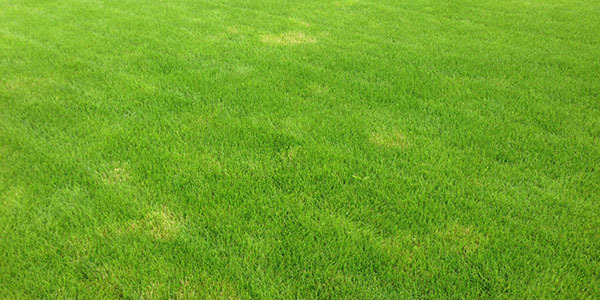 Read on for helpful tips to avoid dead spots on your grass. At the beginning of the summer, the whole family is ready to get out in the pool; however, if it is not moved around throughout the summer, the weight of the pool suffocates the grass underneath it. Every summer, temporary above-ground pools, slip n’ slides and seasonal sandboxes can quickly damage the lawn. Swimming pools: Temporary pools frequently cause brown spots on a lawn. The size and weight of a swimming pool blocks the sun and damages grass underneath. You can lessen the damage by placing a large tarp under the pool and relocating it throughout the summer, if possible. Waterslides: This summer activity is great for having lots of fun, but not so great for your yard. Sometimes inflatable waterslides can cause irrigation problems or lots of mud if not set up properly which can lead to a destroyed yard. If this is something your family uses all summer, make sure to move it around after each use so you don’t damage the grass. Other summer activities: If you got your kiddos a bounce house or inflatable water slide for the summer, make sure to move this around frequently as well. Although these may not be up for a long time, it is important to show that patch of grass some special treatment before and after the inflatable. Discolored or brown spots in your can also be caused by lawn fungal disease. A good indication of fungus is a growing brown spot or multiple new spots forming. Follow these tips and you’ll have a lawn full of green grass in no time! 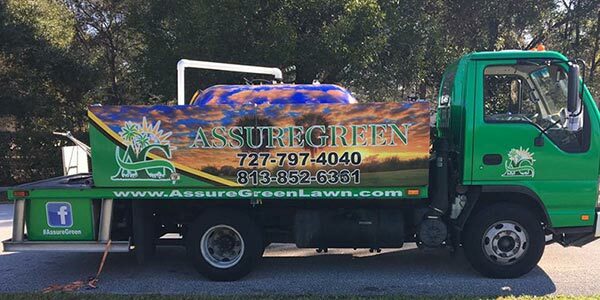 If you need professional help in making your lawn beautiful simply Call Assure Green at (727) 797-4040, or contact us! We’ll be happy to help.